CRISPR/Cas engineered nuclease system is a powerful and highly specific genome editing tool. CRISPR/Cas is a two component system with a guide RNA (gRNA) molecule that drives a Cas nuclease (Cas9, Cpf1) to a specific targeted sequence within the genome in order to introduce genetic modifications (mutations, insertions or deletions). jetCRISPR™ is an innovative reagent especially designed to deliver RNP in a CRISPR/Cas9 and CRISPR/Cpf1 experiments. jetCRISPR™ leads to high CRISPR genome editing efficiency, while maintaining excellent cell viability and morphology post-transfection. 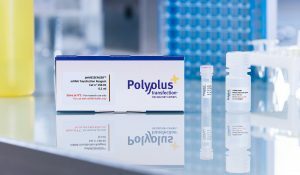 Use the leading technology for CRISPR/Cas9 and CRISPR/Cpf1 RNP delivery! Increase your CRISPR/Cas9 genome editing efficiency using SpCas9 Nuclease! 1.5 ml of jetCRISPR™ transfection reagent is sufficient to perform ca. 300 transfections in 6-well plates. Bulk quantities are available upon request, please contact us for more details. jetCRISPR™ has been specifically designed for high transfection efficiency of RNP (guide RNA and Cas9 protein complex), thus leading to a high cas9-mediated genome editing efficiency on a wide variety of targets in different cell types (Fig. 1 & 2). Fig. 1: High genome editing efficiency using jetCRISPR™ in HeLa cells. 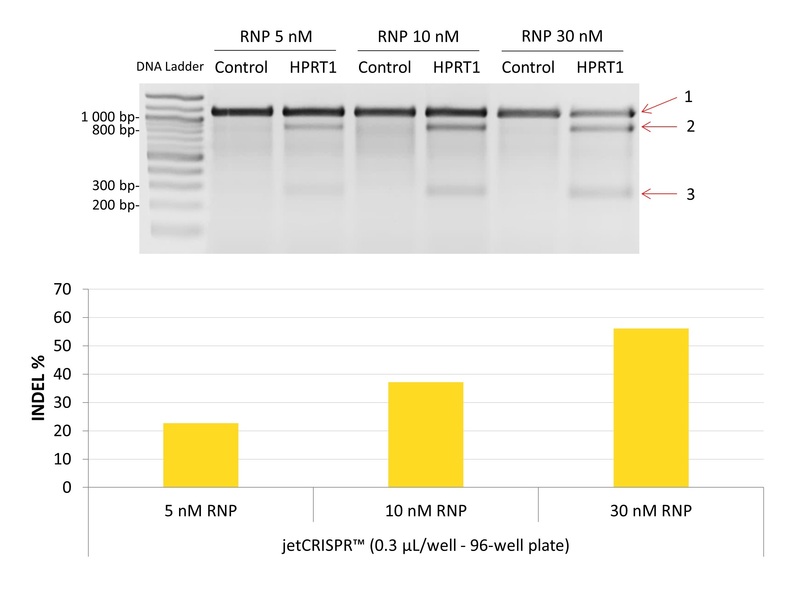 RNP transfections were performed in HeLa cells using several RNP concentrations of SpCas9 Nuclease and HPRT1 sgRNA or negative control in combination with 0.3 µl of jetCRISPR™ reagent per well of a 96-well plate. 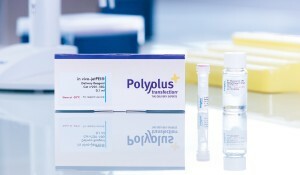 At 48 h post-transfection, T7 digestion products were run on a 2% agarose gel and stained with BET displayed by G:Box transilluminator (Syngene®). Acquisitions were carried out with the Genesnap software (Syngene®) and INDEL quantifications were performed with the Genetools software (Syngene®). 1: Uncleaved fragment of 1083 bp, 2: long cleaved fragment of 827 bp, 3: short cleaved fragment of 256 bp. 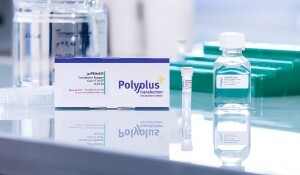 At Polyplus-transfection, we are proud to work with reagents that are extremely gentle to cells, maintaining an excellent cell viability and morphology throughout the whole duration of the experiments. jetCRISPR™ is compatible with both serum and antibiotics, hence RNP transfection can be performed in the optimal conditions for healthy cells (Fig. 3). Fig. 3: Excellent cell viability and morphology at 48 h after transfection with jetCRISPR™. RNP transfections were performed on HEK-293 and A549 cells using 30 nM RNP (SpCas9 Nuclease and HPRT1 sgRNA) with 0.3 µl of jetCRISPR™ reagent per well of a 96-well plate. At 48 h post-transfection, the cell morphology was visualized by phase contrast ZOE Fluorescent Cell Imager (BIORAD®). Delivering the Cas9 directly as a protein instead as a plasmid allows for faster genome editing as the protein is readily available for use. Using jetCRISPR™ to deliver Cas9 protein and gRNA leads to fast and reliable gene editing (Fig. 4). In addition, the Cas9 protein will be cleared from the cells faster than the plasmid, hence minimizing off-target effects and leading to more specific genome editing (Kim S, et al; Genome Research 2014; 24:1012–1019). Fig. 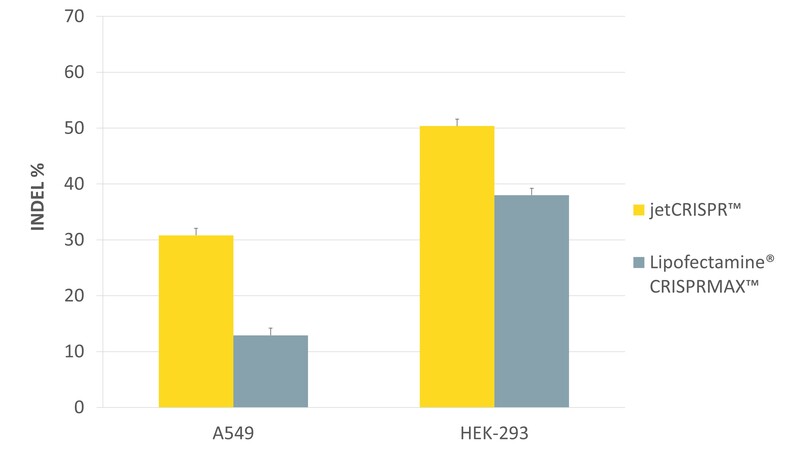 4: Fast and reliable gene editing efficiency obtained with jetCRISPR™ in HEK-293 cells. 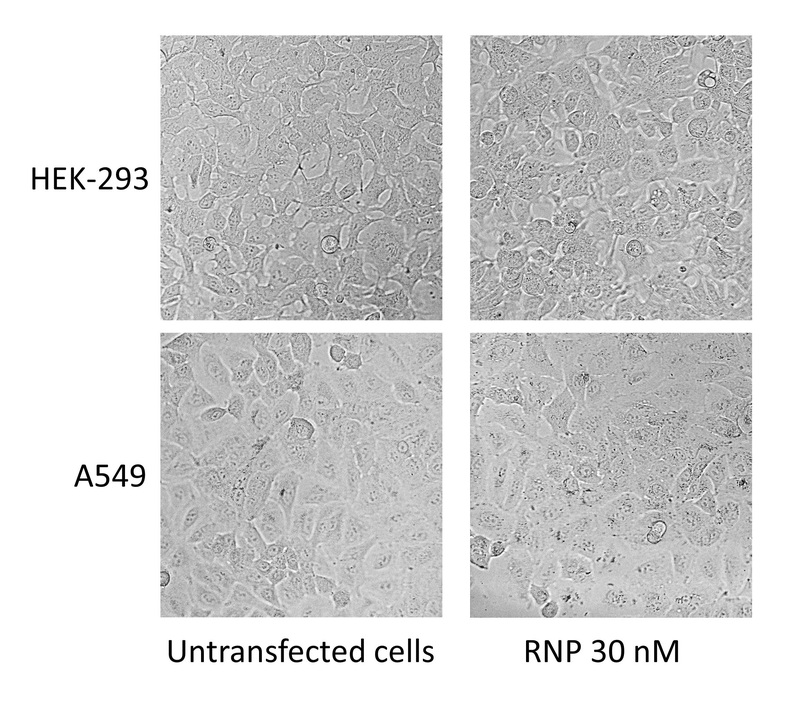 RNP transfections were performed in HEK-293 cells using 30 nM RNP (Cas9 Protein and HPRT1 sgRNA) with 0.3 µl of jetCRISPR™ reagent per well of a 96-well plate. Genome editing was assessed at different time points by calculating the percentage (%) of INDEL using the T7 endonuclease method. The INDEL % was determined by using Genetools software (Syngene®). jetCRISPR™ is provided as a ready to use solution. Transfecting RNP is now a very straightforward process only requiring a few steps: form the RNP complexes, add the transfection reagent and add to the wells! Both reverse and forward transfections are perfectly fine to use with jetCRISPR™, hence allowing you to adapt your protocol to suit the cells that you are working with, the plate format as well as the time of analysis. By using the reverse protocol (Fig. 5), data will be available a day earlier than if you use the forward protocol. Alengo Nyamay’antu (PhD), Technical Support Specialist, talks about transfection trends in genome editing. She provides an overview of solutions to deliver both guide RNA and Cas9 nuclease into cells. 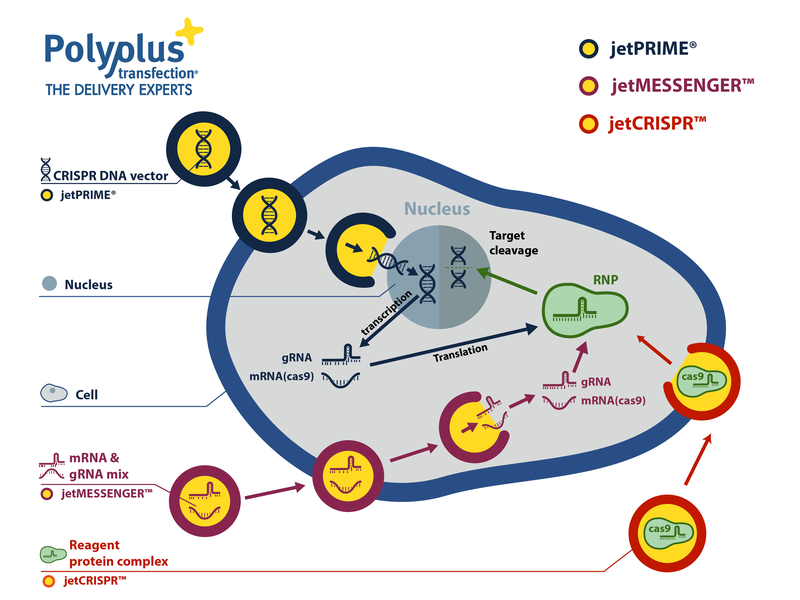 If you have any questions regarding jetCRISPR™, please visit our dedicated Frequently asked questions or contact us at support@polyplus-transfection.com. Successful delivery of the gRNA and the Cas9 into cells is indispensable to guarantee the high genome editing efficiency that is required to generate new cell or animal models. While DNA-free delivery systems in which the Cas9 protein is delivered as a protein/gRNA (RNP) have become attractive alternative, as they overcome the main obstacle that DNA entry into the nucleus constitutes, as well as prevent unwanted DNA integration. In addition, delivering the Cas9 protein leads to a better control in Cas9 expression, thereby attenuating off-target Cas9 nuclease activity. This is undoubtedly why scientists need to have a reliable transfection reagent especially designed for this application. Table 1: Range of transfection reagents for CRISPR/Cas9 experiments. Fig 6: Range of in vitro transfection reagents for CRISPR/Cas9 experiments. In addition to Cas9 protein, other Cas RNA-guided endonuclease are available to improve genome coverage where the Cas9 recognition motif is less represented. acidaminococcus Cas12a protein also known as Cpf1 is available to target AT-rich genomic regions. Delivery of Cpf1/gRNA RNP complexes has proven to be more challenging and to this day, only physical methods such as electroporation were recommended by commercial Cpf1 protein providers. With jetCRISPR™, we now offer a fast and reliable transfection method to efficiently deliver Cpf1 RNP complexes in mammalian cells. 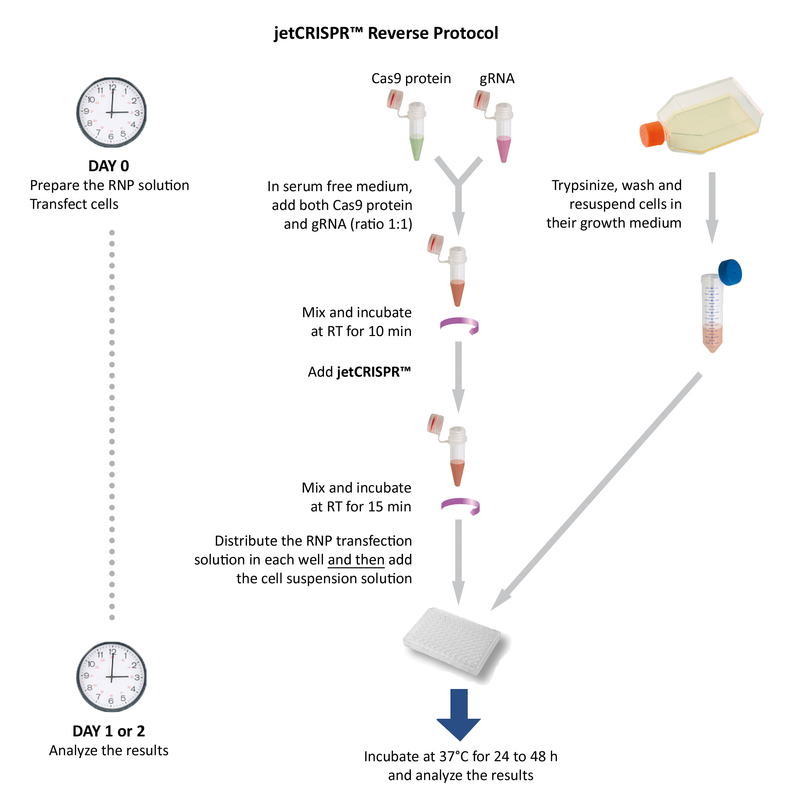 Every batch of jetCRISPR™ reagent is tested in-house in HEK-293 cells following a reverse protocol in 96-well plates with 30 nM of RNP (SpCas9 Nuclease & gRNA targeting the HPRT1 gene) using 0.3 µL of jetCRISPR™. 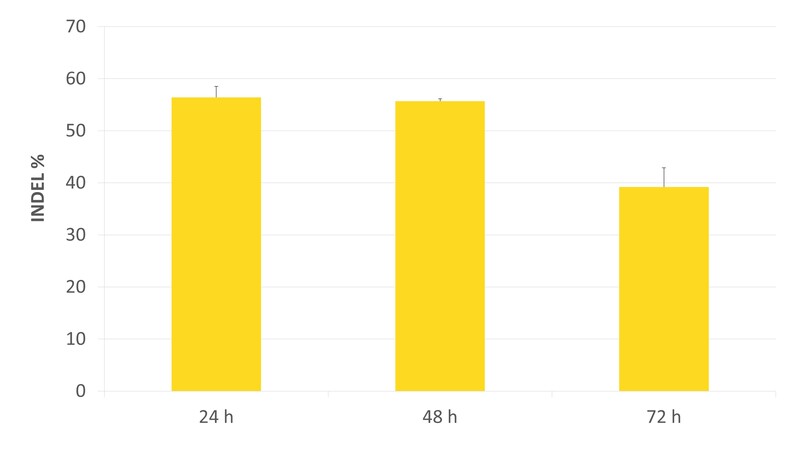 INDEL (%) is quantified 48 hours post-transfection using the T7 endonuclease assay. Each vial is provided with a Certificate of Analysis.